The Product of the Year awards celebrate their 10th anniversary in the UK this year, marking a decade of awarding product innovation, development and investment, as well as providing consumers with a guide to the best new products on the market. Established 26 years ago in France, the independent awards initiative now runs in 39 countries worldwide, celebrating innovation in product function, design and packaging. Winners span a wide range of categories, from drinks to stationery and beauty treatments to laundry detergents, and represent the best of the FMCG market. This year’s winners include both independent and in-store brands, with Tesco's own Tesco Loves Baby non-biological range scooping the Best Baby Care prize. Procter & Gamble brands won the most awards, topping the Toothpaste, Laundry Additives, Feminine Care, Nappy, Electric Toothbrush, Shampoo and Hair Treatment, Household Cleaning, Dishwasher and Laundry Stain Removal and Whitening categories. There were repeat wins for Müller in the Healthy Yoghurts category and Mars in Confectionery. The Product of the Year stamp has long been synonymous with product excellence. Seeing the logo on winners’ products helps consumers quickly recognise top FMCG brands, with an impressive 86% of shoppers more likely to buy something that has won Product of the Year. After winning the award in March 2012, Ryvita's sales via Sainsbury.co.uk increased by 21% in just three weeks. "Product of the Year is at the forefront of product innovation," says Product of the Year chief executive Mike Nolan. "With a 10%-15% average sales increase reported by Product of the Year winners across the globe, we expect sales to go from strength to strength." With this in mind, Product of the Year and TNS have researched data spanning the past 10 years to forecast product trends that shoppers can expect to see over the next decade. An increase in health awareness has led to consumers more closely scrutinising what makes up their food. This, in turn, has driven a rise in demand for healthier, lower-fat and lower-calorie offerings, which is expected to continue. This trend has been reflected in recent winners; Del Monte’s Naturally Light low-sugar juice won in 2013, and Benecol topped the Spreads category this year. The data also reveals hyper-convenience as an emerging trend, as consumers look for products that cater to their increasingly mobile lifestyles. "Fifty-five per cent of women in UK would love to moisturise their body, if only they had the time. This insight led us to develop the ultimate time-saving body lotion," says Sophie Rock, Senior Brand Manager, Nivea, at Biersdorf, whose Nivea In-Shower Body Moisturiser won this year’s Moisturiser category. Innovative solutions also came from Unilever, whose Knorr dissolvable gravy pots topped the Gravy and Stock category, and Dolmio lasagne kits from Mars Foods, which won the Convenience Meal category. In addition to continuing product innovation, the research indicates that brands will need to change the way in which they look at packaging in order to meet future consumer demand. With an ageing population and increasing number of women as the main breadwinner, UK family dynamics in the UK are changing. 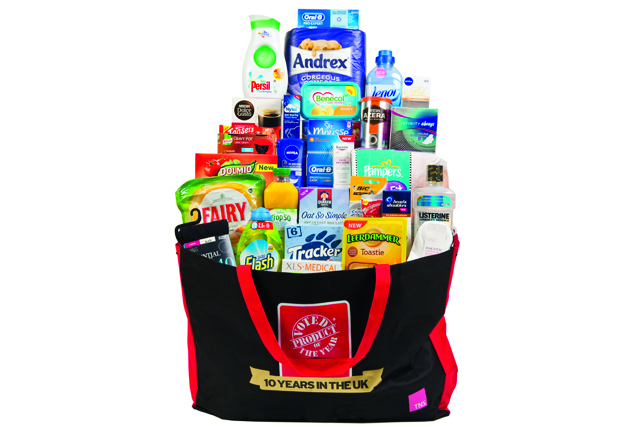 TNS and Product of the Year expect to see future winners’ packaging reflect this. Predicted features include bigger, easy-to-read text and spring-loaded sprays to aid the elderly, and more gender-neutral designs on products previously marketed to women, such as cleaning and household products. Nolan concludes: "What’s certain is that brands will need to adapt to the changing face of the UK consumer to stay ahead of the curve. Standing still or following others is no longer an option – brave decisions to lead the market are called for."